AluminumBleachers.com offers an extensive collection of bleachers from 3-row bleachers to 15-row bleachers, and more, to meet your specific requirements. These bleachers can be assembled on many surfaces such as grass, dirt, concrete and pavement. We offer portable or transportable bleachers that can be safely moved from one site to another. These bleachers are specifically designed to endure movement. Our convenient Tip-n-Roll Bleachers make a quick installation for special events seating a snap and are well suited as gymnasium bleachers. Our Highway Series transportable bleachers systems make bringing your bleachers with you as easy as towing them behind you on a trailer hitch. All of our bleachers are built according to the strictest Building Codes. Please remember when purchasing bleachers, safety is top priority. We offer both elevated and non-elevated bleacher systems to accommodate the seating of your specific venue. Elevated bleachers are bleachers where when seated in the first row, your feet are sitting at the same height as the raised walkway. Entry stairs and a front guardrail are required with this type of bleachers system. Non-elevated bleachers are bleachers where when seated in the first row, your feet rest on the ground. Aluminum Bleachers offers the highest quality retractable bleachers on the market today. Our unique design guards against the structure sag that can cause inferior bleacher systems to fail. As a result we are able to offer the longest warranty on the market today. For more information call today and ask for a telescopic bleacher specialist. Aluminum bleachers that comply with the American With Disabilities Act are designed specifically for users with mobility devices and to adhere to state and local building codes. These bleacher structures include access for wheelchair seating and companion seating. 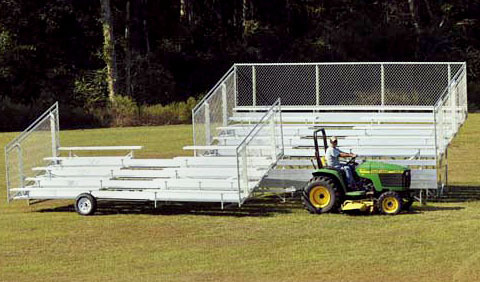 Our design team has come across situations where a standard set of aluminum bleachers won’t work at certain locations. There might be issues with the site dimensions, seating, vomitories (egress), sightlines, handicap access etc. Don’t worry. We have an experienced design and engineering team on staff that can configure custom bleachers to match your unique needs. In addition, our custom layouts are FREE. So whatever your needs, call us. Believe us when we say we have encountered many unique scenarios that required us to build a unique set of aluminum bleachers. Talk to the experts! We carry two choices of aluminum bleacher structures for your portable bleacher and transportable bleacher needs. Our DLW or DLWE series are bleachers which are an aluminum angle design where all pieces are welded together. The TSA or TSAE series are bleachers include a square tube and angle design where all pieces are welded together. The SG or SGE series incorporates bleachers with a steel framework and aluminum seat planks and foot planks. These bleachers also use the angle design where all pieces are welded together. The bleacher frames are then hot-dipped galvanized for maximum durability. Please keep in mind that all bleachers can accommodate wheelchair spaces in accordance with ADA requirements. Large or small, every customer and every order are important to us at AluminumBleachers.com. From small events to large events, we have your bleacher seating solution at the price you can afford. We provide bleacher solutions for your school, indoor venue, park, special event, college campus, carnival, rodeo and more! Bring the Major League feel to your Little League games. 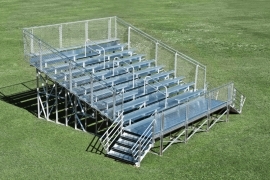 You won’t be disappointed if you choose AluminumBleachers.com for all your bleacher systems needs. Call us today at (800) 671-9442. Our ordering process is efficient and simple, ensuring that your orders will be taken quickly and will be shipped right away. We work closely with our preferred carriers to obtain the lowest shipping rates available. If you need a product that you don’t see in our catalog or on our web site, please contact us so that we may assist you in locating it. 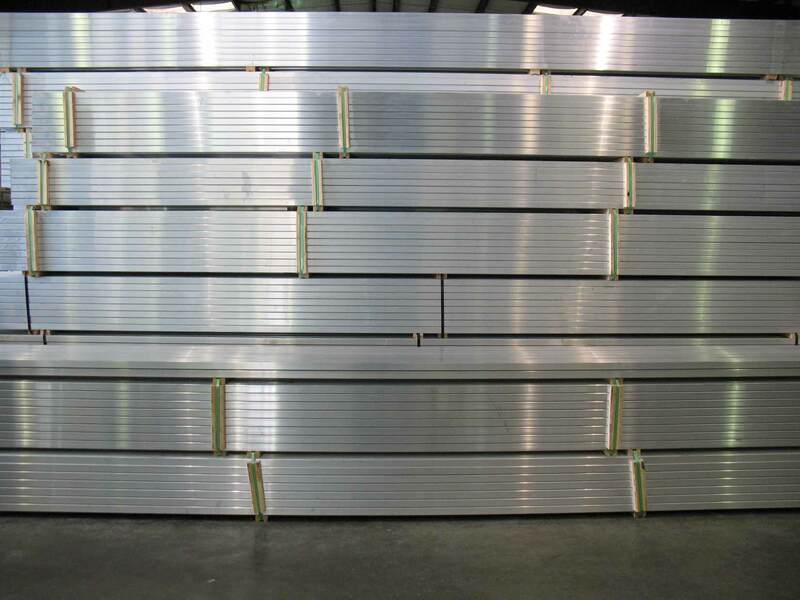 When it comes to aluminum bleachers for sale, we are the experts.